52255 is another open vehicle with origins and design features similar to those of 43600. It too was built at York – a year later in 1935. Like 43600, it was withdrawn from BR public service in 1961 to become part of a BR Eastern Region Control Office train, which was intended for use in the event of nuclear war. A detailed article on the ER Emergency Control Trains, from June 1981 Railway World, is featured on the LNER Coach Association website. 52255 was originally purchased by a private owner and came to the SVR in 1980 along with 43600. 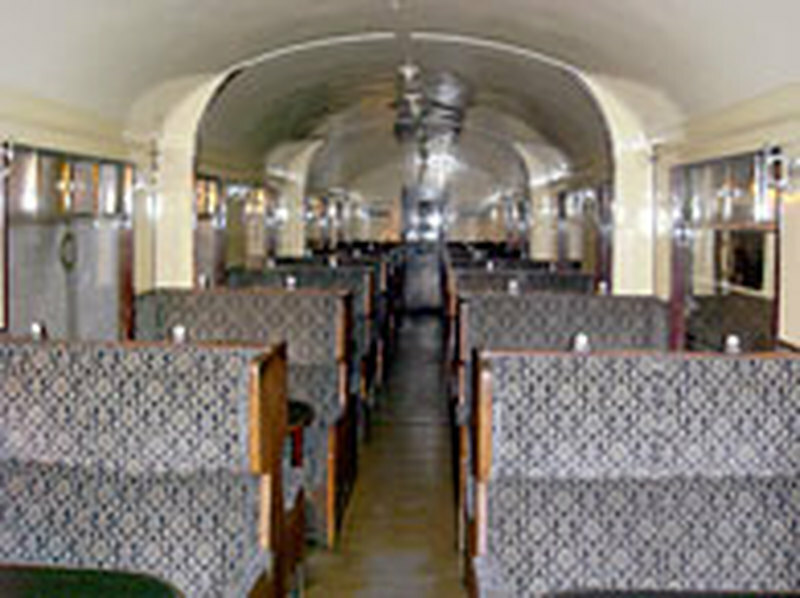 The LNER (SVR) Coach Fund was involved in the mid-1980s in the external restoration of both these carriages to their 1935 livery. Together with Buffet Car No 643 (owned by the SVR), these three vehicles provided the Gresley presence on the SVR for many years. Their high seating capacity means they work hard for their living in regular SVR public service. The interiors of these Open Thirds remain very much a compromise with their BR Mark 1 seating. But 52255 is now in the ownership of the SVR Rolling Stock Trust Company, following its purchase early in 2011 from the original private owner, and the Trust plans to make some interior improvements.